Hi ladies, how are you? I'm very excited to share with you the latest addition to my make-up bag. I was recently sent the stunning I'm Turning Pro L.A.B. 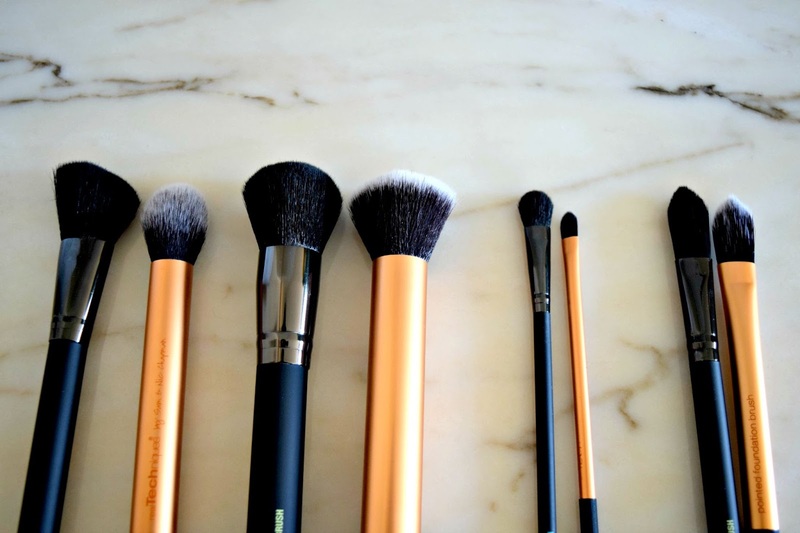 2 brush kit* which aims to address beauty professionals and beginners alike. When it comes to beauty I'm a total greeny. Somehow I missed that period in my teens when you hang out with your best girly friends and get all excited about the latest products. I got more into beauty in my mid-twenties, still a massive gap to fill and no bestie around to give me some lessons. So my basic knowledge is mostly based on blogger tutorials. Thanks, internet! Luckily there are make-up brands out there who take people like me with little beauty knowledge into consideration when they design a new product. It goes without saying that I got super excited when the L.A.B. 2 I'm Turning Pro Kit landed on my desk. So far I own a Real Techniques Core Collection Kit which I'll use as a comparison for my review. I've never heard of L.A.B. 2 before but was surprised to hear (and see) that their range retails at Superdrug. 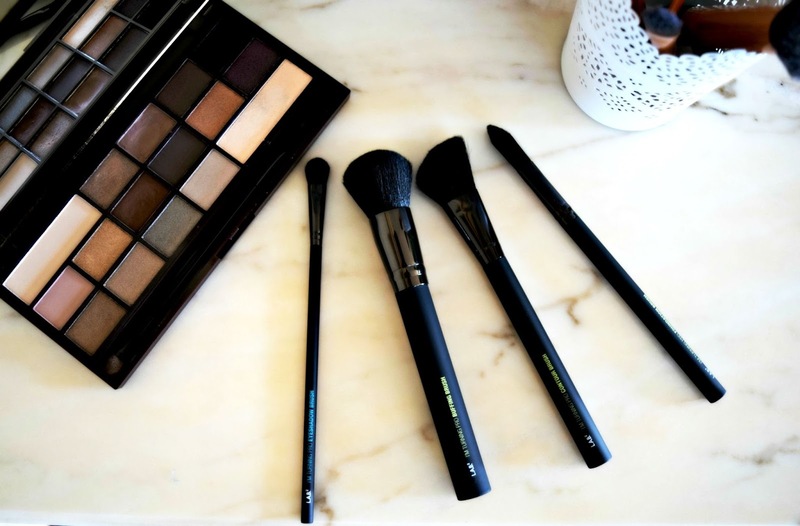 The collection consists of complete brush kits and individual brushes. For the I'm Turning Pro Kit, L.A.B.2 has teamed up with US makeup artist Brett Freedman. The idea is to make professional makeup tools available for skilled beauty fanatics and beginners like me. The kit consists of four brushes and comes at an affordable retail price of £22.99. 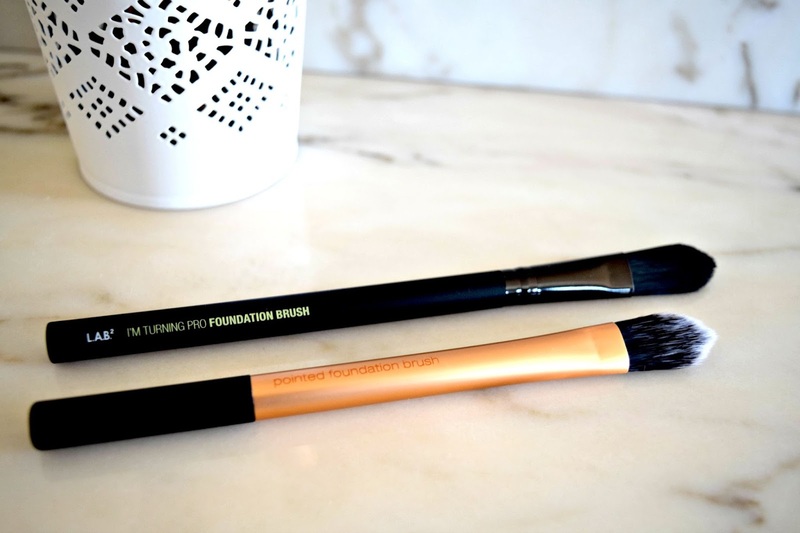 The brushes are vegan, hypoallergenic and cruelty-free produced. The soft filaments use a technology called 'FibreLuxe' and shall provide an even colour distribution and precise application. The technology is supposed to hold and release pigments with ultimate control to achieve better results with a flawless finish and less waste of product. Unlike natural hair, the fibre technology claims to not lose its shape or break down the delicate filaments. That's what the blurb on the packaging says, which btw looks very appealing. The kit comes in a sleek black packaging and has a detailed description on the back which I, as a makeup beginner, find extremely helpful. All brushes from the kit have a soft rubber handle which I feel comes very handy for my needs and ways of usage. Imprinted on the brush is the name which is helpful for a beginner like me. The name is coined into the brush and won't vanish when you wash it unlike the RT. As you can see the inscription on the RT brush has nearly disappeared and I've only used it a few times. The L.A.B. brush is slightly longer than the RT which works out well for me, as it gives me a better chance to hold and work with it. The filaments are super soft and can easily keep up with the natural hair used by RT. The application of foundation was smooth and I was very pleased with the results. However, when it comes to foundation I prefer to use my Nanshy 4in1 blending sponge, as it is faster and easier to clean. 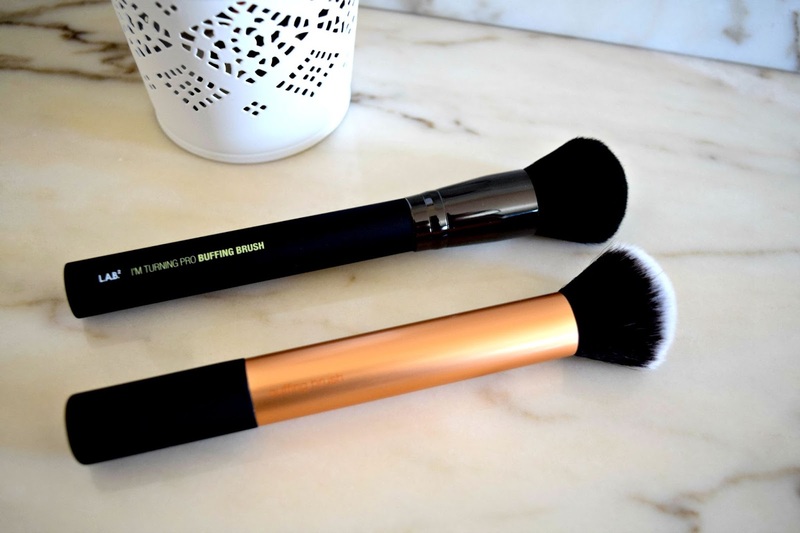 Unlike the RT brush, L.A.B.s contour brush has a fan-like shape which allows a broad application. It feels very soft on my skin and I can see myself using it more often, as contouring is a field I'd like to explore. Both buffing brushes can take enough powder for an even application and I was pleased with both end results. I've been using this one on a regular basis and I love the way it applies a smooth finish every time. 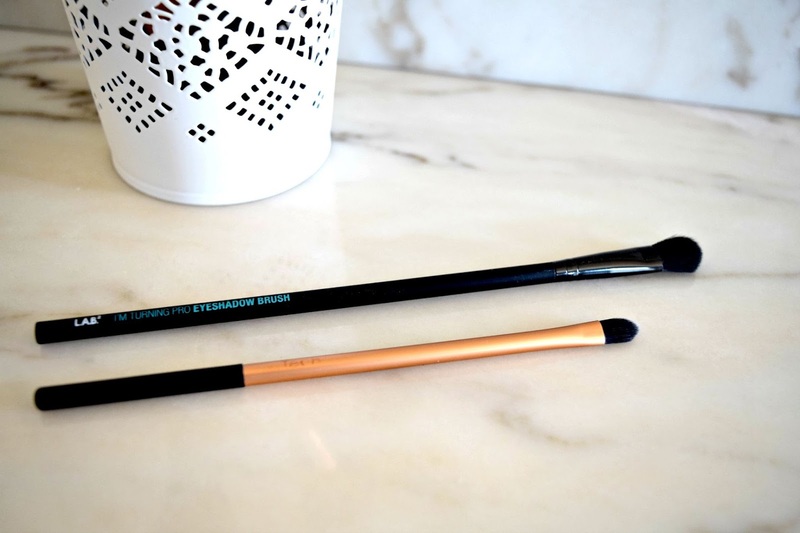 The brushes' soft filaments can hold a great amount of product because unlike the RT, the L.A.B.s brush has more filaments and a rounded head. This makes layering my eyeshadows a flawless and hassle-free process. A few applications are enough to create my look. In comparison to the RT brush, the L.A.B. is longer and more sturdy, which gives me more security as a beauty beginner. As I've said, I'm still a beginner and nowhere near yet to use the brushes to their full potential. It means that I'll need to work with them more often from now on. I've been using my L.A.B. 2 kit for a month now, but I feel I should experiment and work with them a bit longer to give you a more comprehensive and insightful review. Until the end of the year, I aspire to become more skilled with makeup and would like to give you an update then. I'll use those on a regular basis from now on and I can see myself turning into a pro in no time (haha). The I'm Turning Pro brush kit costs £22.99 and is available on the High Street since March 2015. Thank you so much for reading today's post. 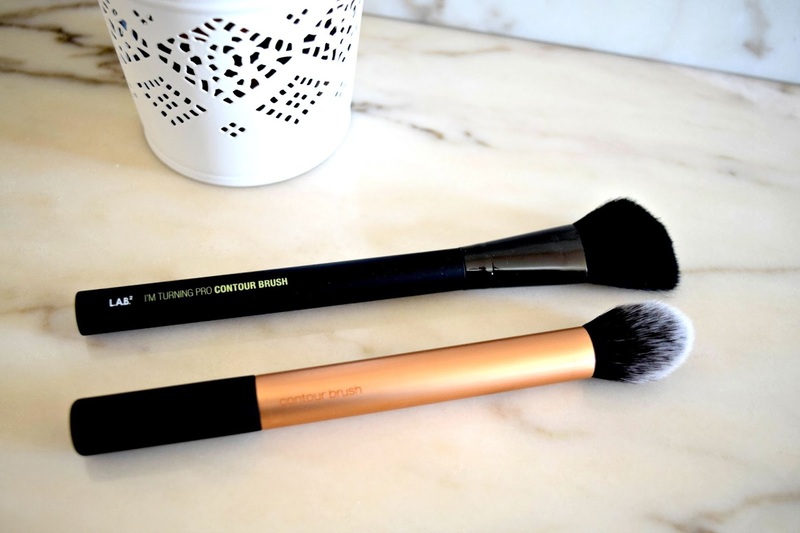 Which brands do you use when it comes to makeup tools? Have you seen the L.A.B.2 kits before? Would love to hear your thoughts and also please let me know how I can improve my reviews and if you like the photography.